China. Xinghai province. 2009. 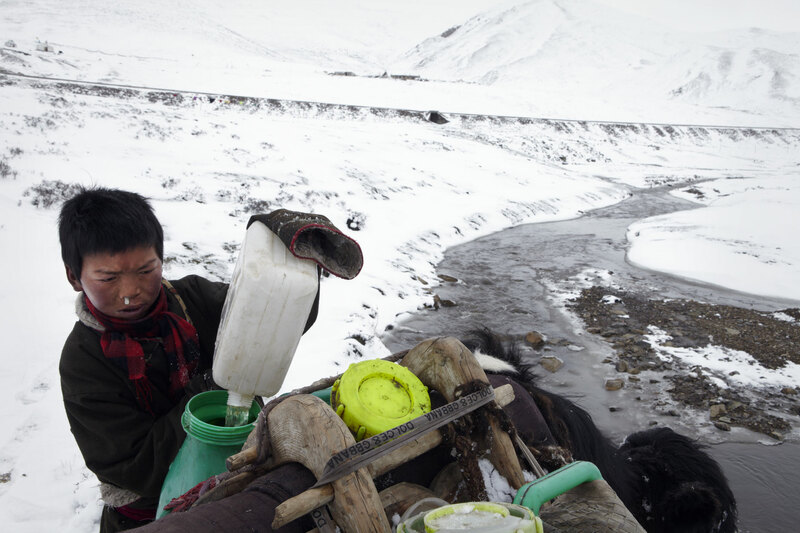 At a tibetan nomads' camp near the village of Muri, Cai Lan Dorjie fetches water from a stream, loading it into water buckets on a yak.